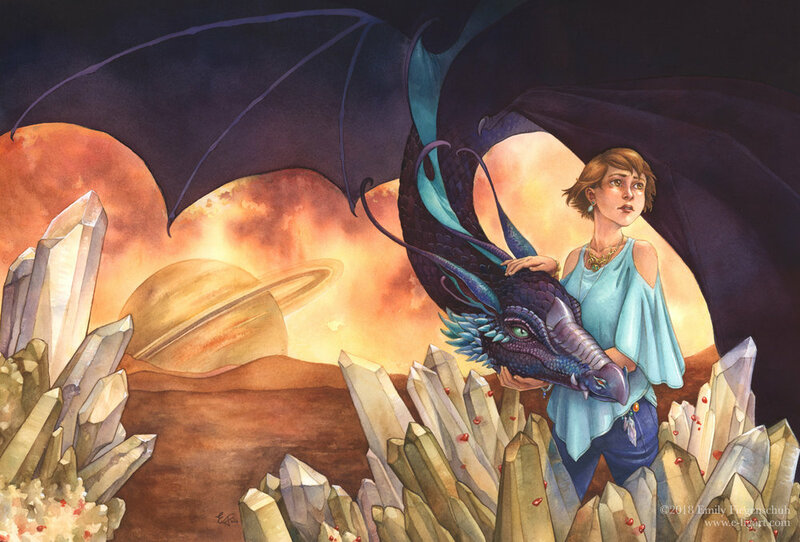 The cover illustration and month of June for Llewellyn’s 2019 Magical Faery Calendar. The month of January in Llewellyn’s 2019 Magical Faery Calendar. 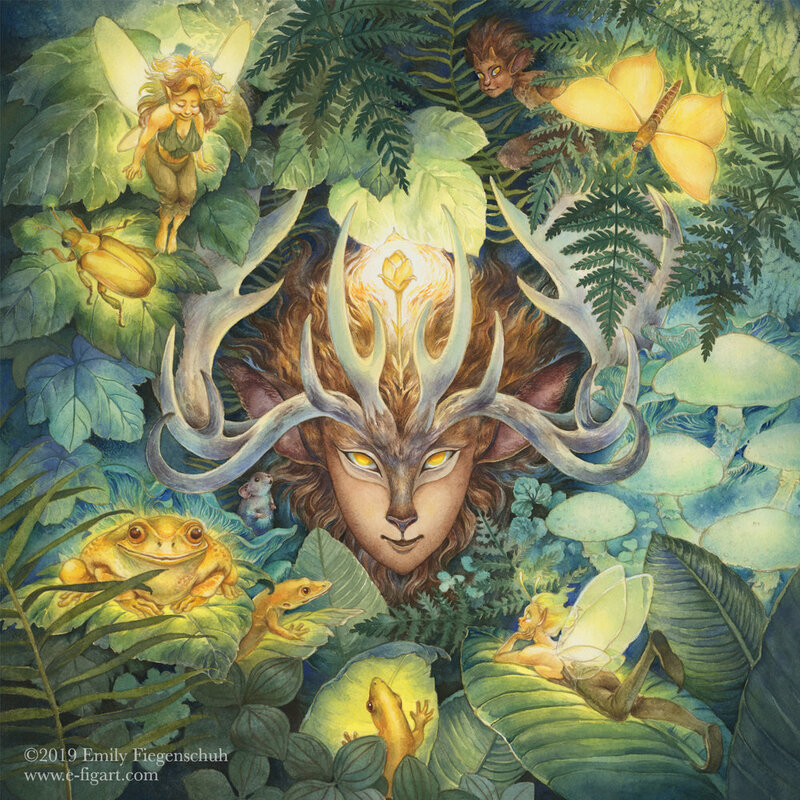 The month of March in Llewellyn’s 2019 Magical Faery Calendar. 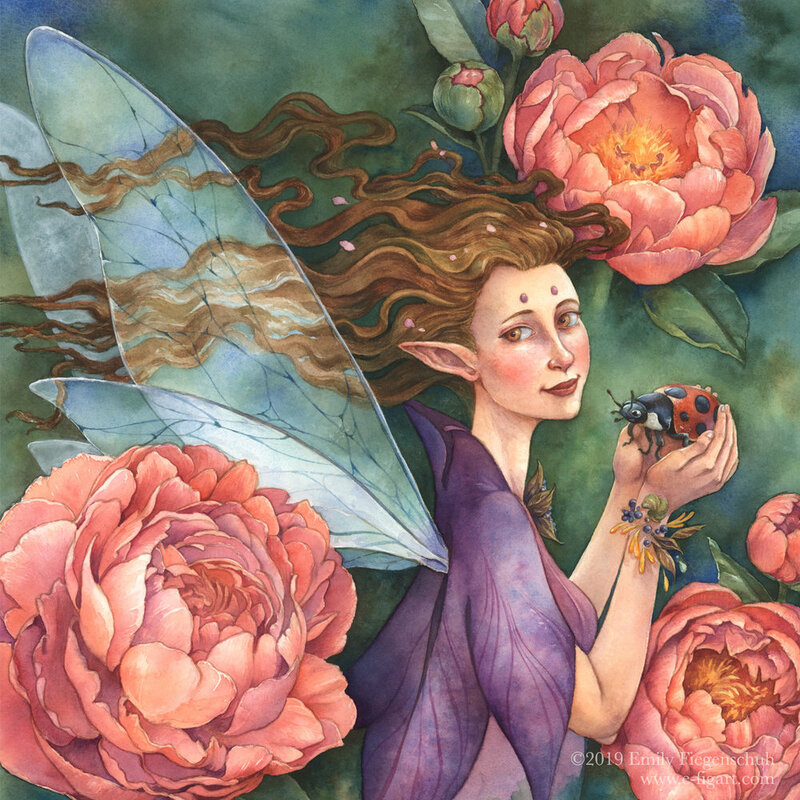 The month of April in Llewellyn’s 2019 Magical Faery Calendar. 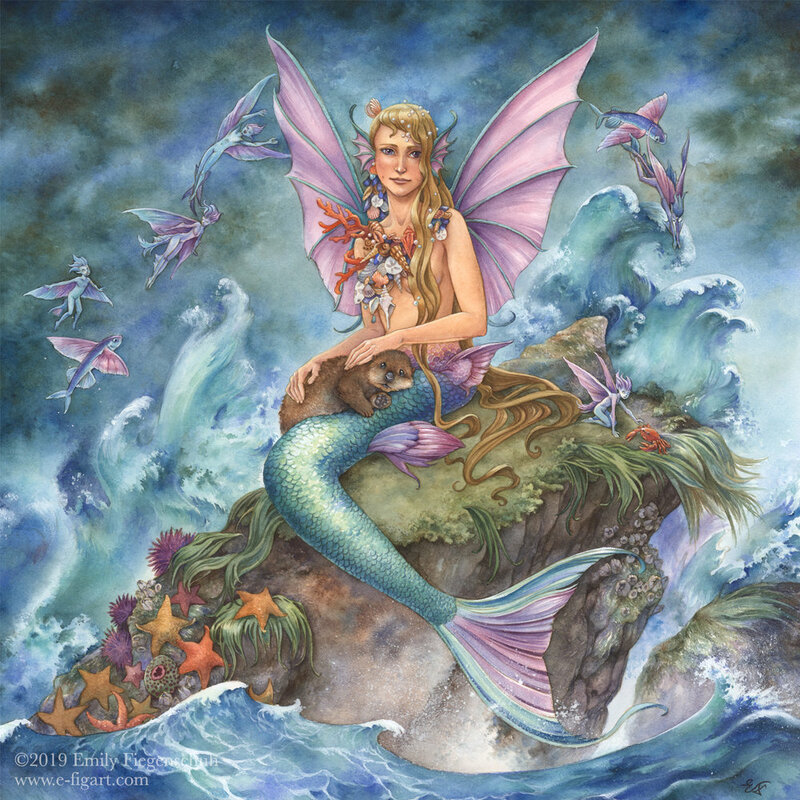 The month of May in Llewellyn’s 2019 Magical Faery Calendar. 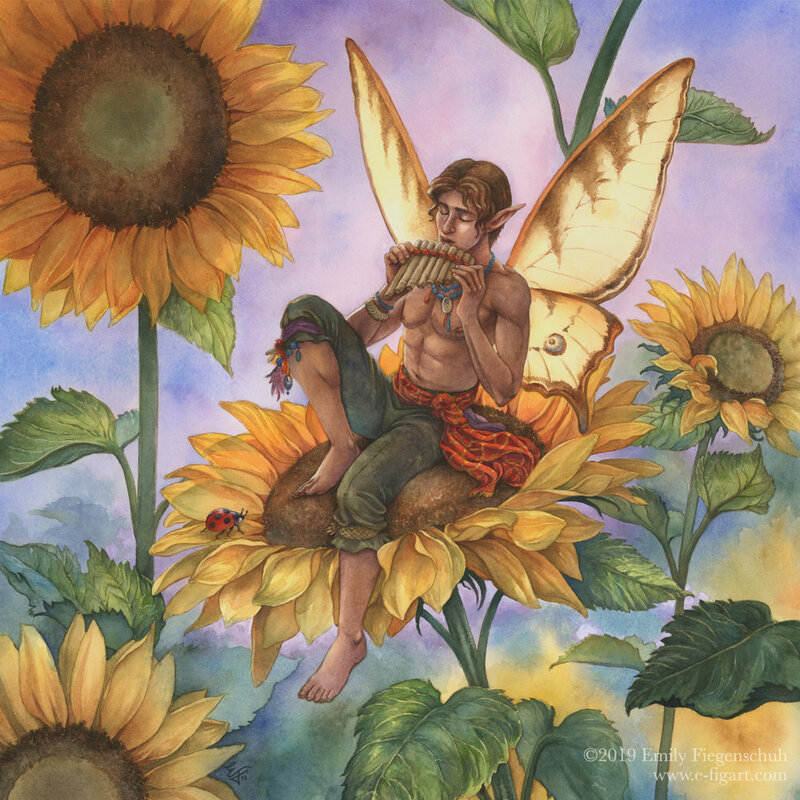 The month of July in Llewellyn’s 2019 Magical Faery Calendar. 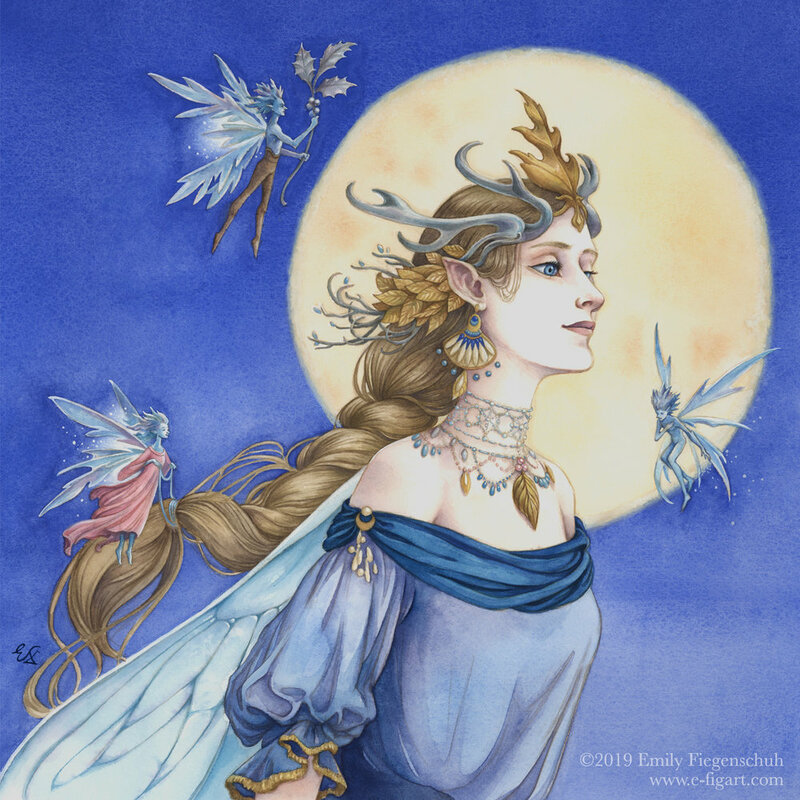 The month of August in Llewellyn’s 2019 Magical Faery Calendar. 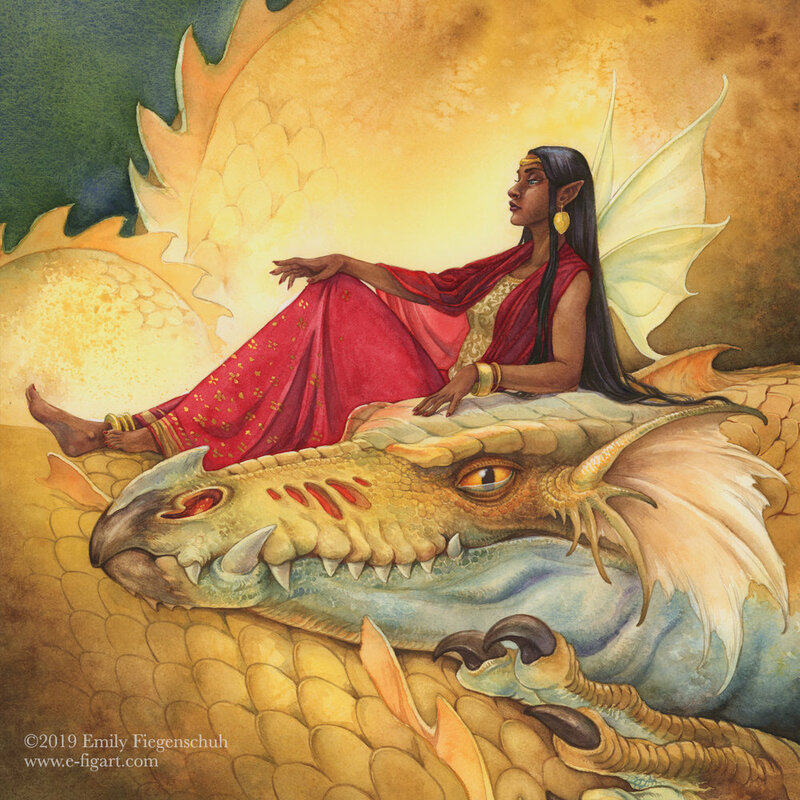 The month of September in Llewellyn’s 2019 Magical Faery Calendar. 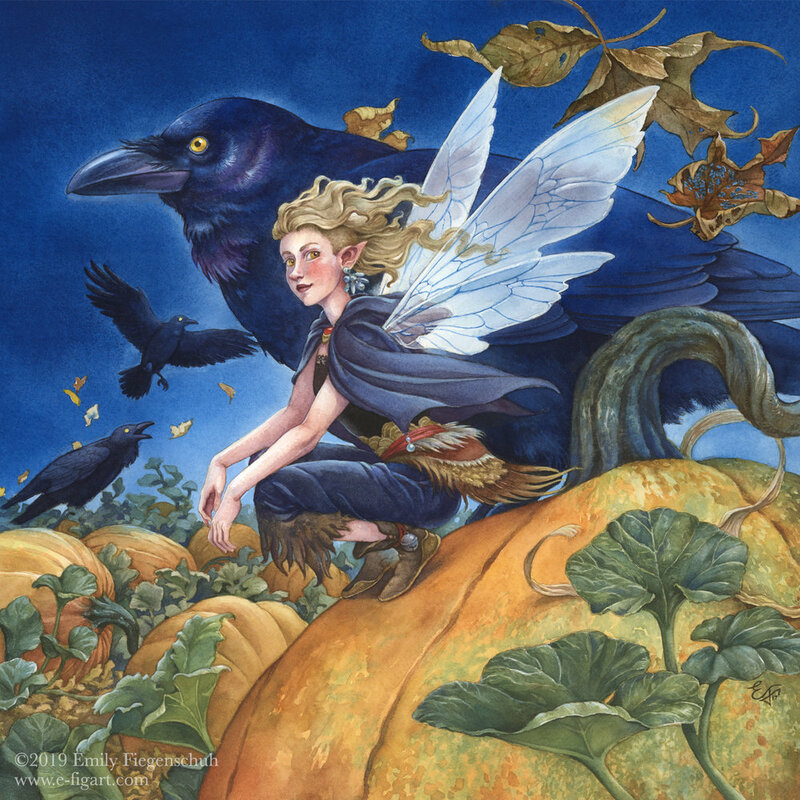 The month of October in Llewellyn’s 2019 Magical Faery Calendar. The month of December in Llewellyn’s 2019 Magical Faery Calendar. 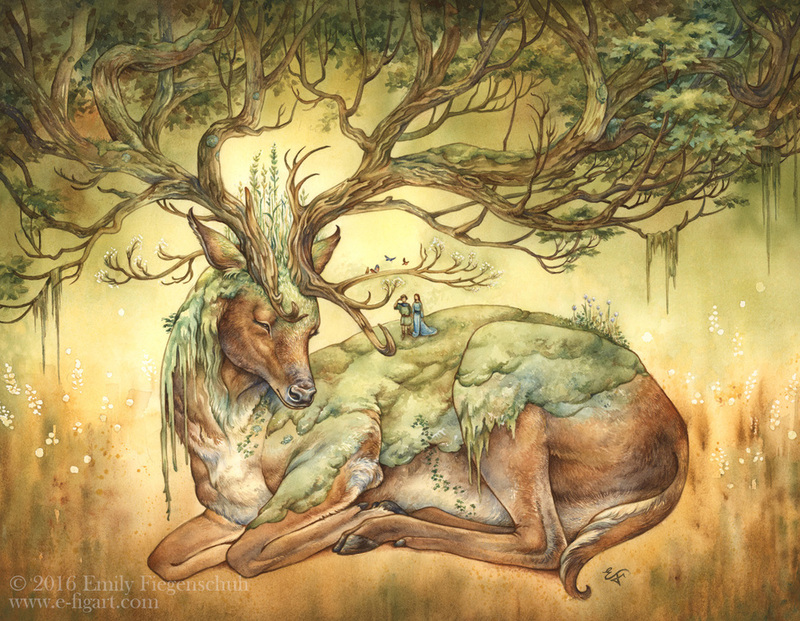 Personal painting exhibited in the gallery show "Arboreal Dreams" at Krab Jab Studio in February and March of 2016. Personal painting created for the gallery show "Marriage is a Work of Art" at Krab Jab Studio in April 2015. Personal painting created for the gallery show "FAERIE III" at Krab Jab Studio in March 2015. My wraparound cover illustration for the young adult novel The Triskaidek, written by Basil Sprig. 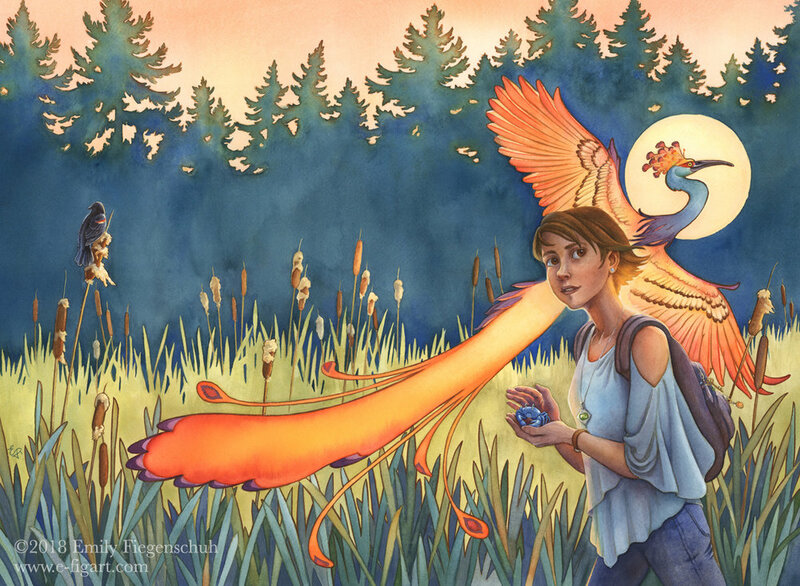 My wraparound cover illustration for The Pixitries, the second novel in Basil Sprig’s young adult fantasy series, Camp Fae.